Chidambaram temple was the place that deified the cosmic dance of Lord Shiva. 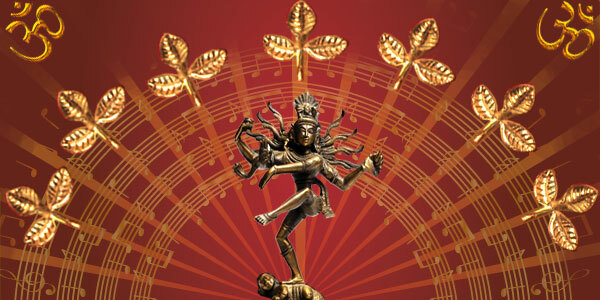 When Shiva danced, he used a special drum and from that drum emerged the sounds and the alphabets. These 51 sacred sounds are also called “Matrikas” or little mothers, since they give birth to all creation. Matrika Shakti is the powerful energy vibration of the sounds that make up our internal truth. Nataraja temple of Chidambaram is one of the 5 Elemental Temples dedicated to Lord Shiva or Ultimate Consciousness. This temple is dedicated to the element aakasha or ether and it signifies sky of consciousness. Shiva is not only worshipped as formless (Ether) but also as Fire, Air, Earth and Water – the five elemental substances, Chidambaram temple, being one of the five Shivasthalangal is one of the most sacred places to worship Lord Shiva. Lord Shiva in his manifestation of formlessness is worshipped in the Chidambaram temple which was sanctified by the cosmic dance of Lord Shiva. The Lord is said to continuously dance in a state of eternal bliss with his consort Shakti. There is a shrine to the left of the Lord Nataraja called as the Chidambaram Rahasyam. Chidambara Rahasyam translates to the Secret of Chidambaram. A carved stone lattice with little openings obstructs the full view of this shrine. After the priest shows the main aarti or flame to Lord Natarja, he takes the flame to the Chidambara Rahasiyam shrine and directs attention to it and allows devotees to catch sight of the Secret. The Secret of Chidambaram temple or Chidambara rahasyam lies in the curtain of golden bilva leaves hung to indicate the Lord’s presence in the space. This garland is the source of a wealth of knowledge as it indicates that God permeates everywhere and is formless. The Chidambara Rahasyam hence represents the time when one totally surrenders them to God to intervene and remove the ignorance. Maha Shivaratri is principally celebrated by offerings of bilva leaves to Lord Shiva and by observing an all day fast and a night long vigil. Bilva leaves are sacred to Shiva and offering prayers to bilva leaves will bless you with energy and prosperity. If you speak a mantra or sound one time to a Golden Bilva Leaf, the effects will multiply by 1000 times or more. AstroVed is offering you the chance to receive the supreme energy of Lord Shiva this Maha Shivaratri by energizing the golden bilva leaves at Chidambaram temple. Get Your Specially Energized Golden Bilva Leaves Now.